Caraselle Direct – Home Accessories Products Buy new and unique microfibre cloths extremely light and dry very quickly. Microfiber Pet Drying Towel: New To The Range! Caring for a pet takes a lot of time, which is why anything that makes things easier and quicker is a bonus! 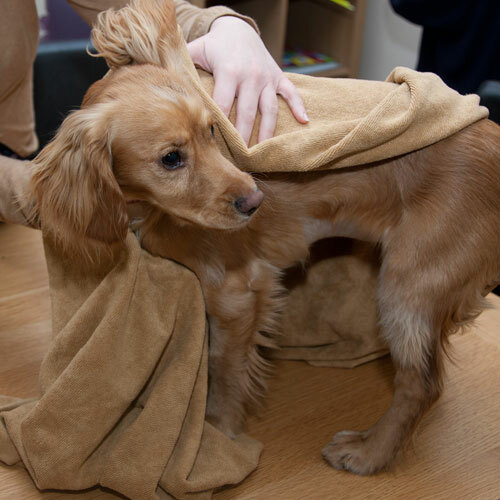 Investing in a Microfiber Pet Drying Towel will drastically reduce the time it takes to dry your pet, in fact it will dry your pet up to 10 times faster than cotton towels which you are no doubt currently using! The Caraselle Micro Fibre Pet Drying Towel 72 x 149cm is also machine washable and can be cleaned in boiling water. (You should avoid using softeners when washing it). This is new to the Caraselle range of Pet Accessories, and there are many useful products within this range. Such as the best selling Pet Hair Lint Roller. You’re going to see some hairs around your house and on your clothes when you own a pet but you can keep on top of them with a Pet Hair Lint Roller, perfect for removing unwanted hairs and fluff from clothing and upholstery etc. and great to clean up in between vacuuming. Another great product in the range is the Supa Groomer Essential Gentle Grooming Brush great for gently grooming light dust & hairs from dogs and keeping up with removing animal hairs from upholstery & carpets. It’s so gentle it’s even widely used as a face grooming brush – feel its light touch! It’s Easily cleaned & hard wearing. L= 120mm W = 70mm H = 35mm ( 4 3/4″ x 2 3/4″ x 1 3/8″ ). Keep your car hair free with the Caraselle Rear Car Seat Protector in 100% Heavy Duty Grey Nylon which is ideal for stopping dirt and hairs ruining your back seat when travelling with your dog. p.s. 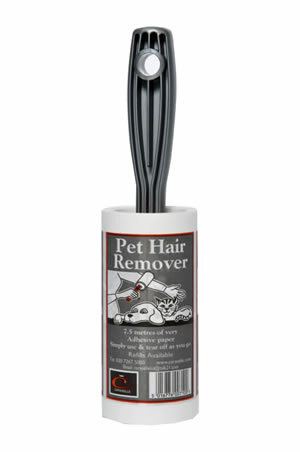 We have the widest selection of Pet Hair Removers and our multipack bargains makes our pricing impossible to beat – check out our wide range of Pet Hair Removers and say goodbye to hairs all over your clothes and house!